Does your dad love Golf? 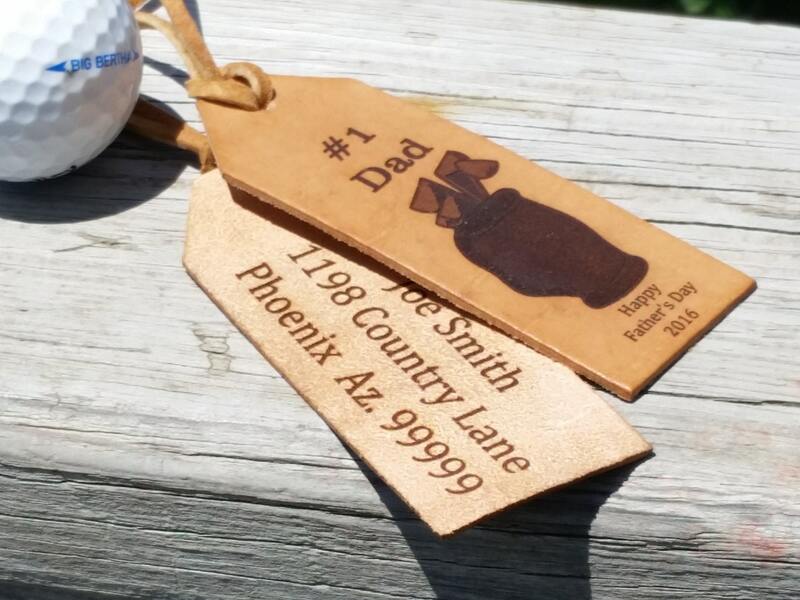 Oh why not give him these beautiful set of made in the USA leather luggage tags that can be customized as per your request. 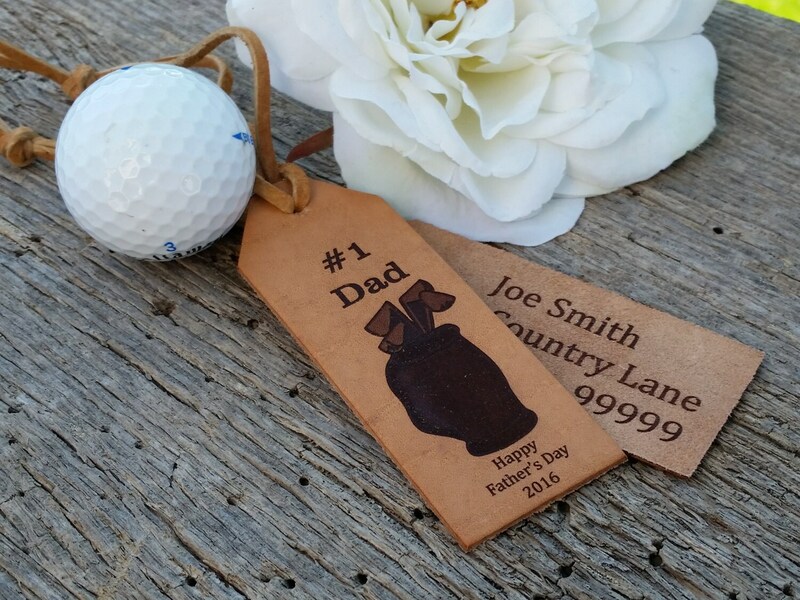 Our beautifully crafted leather luggage tags are the perfect gift he can use on his luggage each time he goes golfing out of state or he can add on to his golf bag zipper! One side had the caddy engraved and one side has the name and address. Both sides are nicely engraved. Want something else written on the tag? Just let us know we love custom orders. QTY: 1 set of TWO (2) tags. Each set comes nicely gift boxed with gift tag and ready to be given.